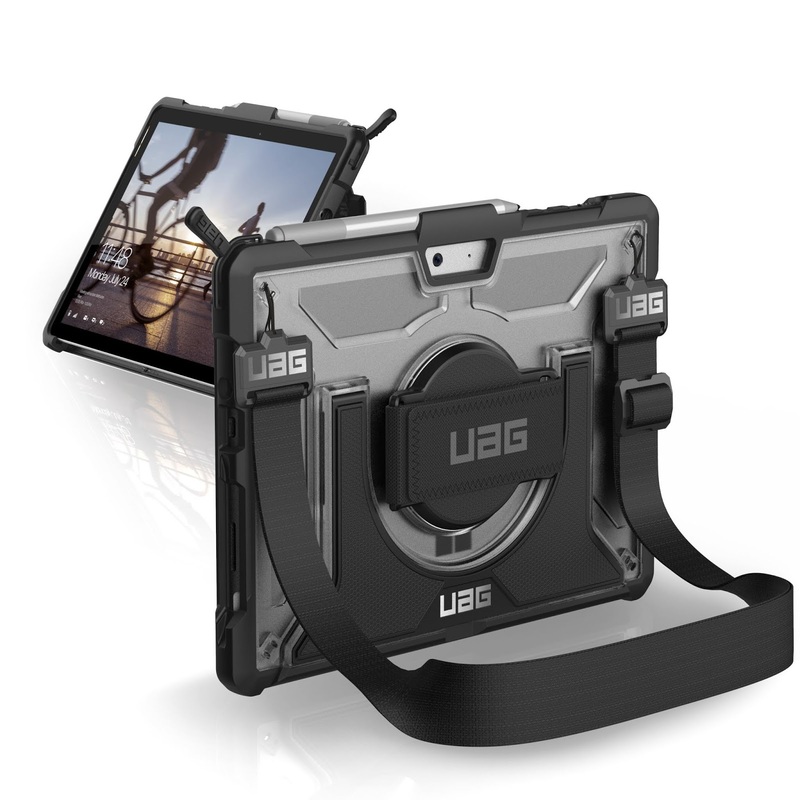 Urban Armor Gear (UAG, www.urbanarmorgear.com), leading designers of lightweight mobile device cases, announced two new releases of their rugged MIL-SPEC cases for Microsoft's new Surface Go. The Metropolis and Plasma Series cases are designed to protect and compliment the features of the all new Microsoft Surface Go. 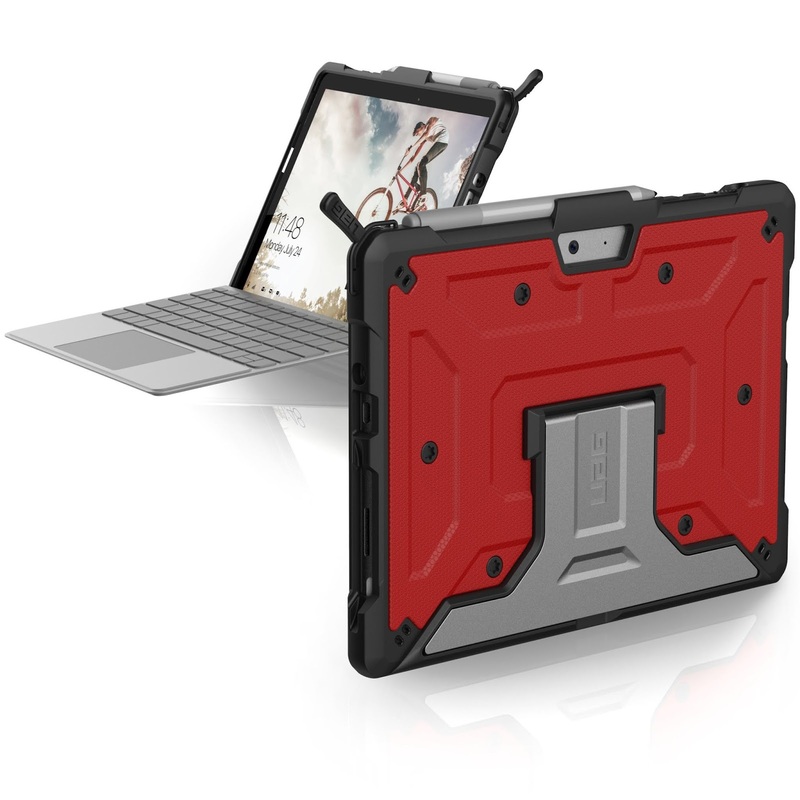 The cases are lightweight, edgy, and MIL-SPEC drop-tested to ensure the tablet can withstand rigorous activity and usage. "Without compromising the Surface Go's sleek design, the two cases were carefully engineered to provide maximum protection and functionality," said Michael McVerry, Senior Marketing Manager for UAG. "Both Metropolis and Plasma Series cases will provide Microsoft customers with the peace of mind they need to take their Surface Go further." Made of feather-light composite construction with an impact resistant soft core, the metropolis case is prepared for the toughest of drops. The series features oversized tactile buttons, air vents, water resistant grip, and easy access to touchscreen and ports. The case meets military drop test standards (MIL-STD 810G-516.6). The Plasma series features impact resistant rubber bumpers along with a 360-degree rotating hand-strap. The case is equipped with a built-in kickstand, surface pen storage, and an optional shoulder strap. The case meets military drop test standards (MIL-STD 810G 516.6).